LYLE CRAWFORD, RICK GIBSON, GAIL (ANDERSON) GRAHAM, ALVIE THOMPSON AND JENNIFER WYATT. Crawford’s strengths were his cockiness and his short iron play. In match play he fought tenaciously with all his weapons to win. He could be down by 4 holes with six to play and still win the match. “He employed an abrupt, staccato swing that mirrored his persona.” In the 1955 Canadian Amateur final at Calgary he paired with his equal Moe Norman in walking, talking and playing rapidly. James Anglin, the RCGA President, asked the pair to slow done so the spectators could catch up to the match. Even though Lyle was down he got the match to extra holes losing on the 39th hole. Rick’s family moved to Victoria from Calgary when he was seven years old. He grew up playing golf down the road at Cedar Hill where Lyle Crawford tutored the juniors. In 1979 Vern Gibson relocated the family to Vancouver. Rick joined the Marine Drive GC. In this year a team composed of Doug Roxburgh, Rick Gibson, Kelly Murray and Steve berry, all Marine Drive members, won the prestigious Willingdon Cup at the Canadian Amateur Championship – the only time a golf club team has won the trophy. 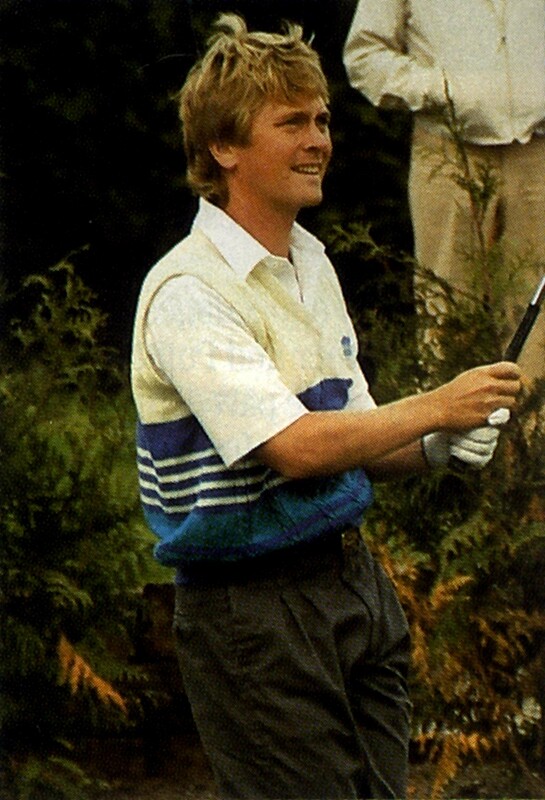 After an impressive amateur while residing in Victoria and Vancouver, Rick began his world professional career by winning the Canadian Tour School qualifying event in 1985. Each year his noteworthy world record has elevated him to the stature of one of the best professionals ever from Canada. 1990 probably ranks as one of the most memorable years in his golfing career. He married his Manila sweetheart, Josephine, had a beautiful daughter, Katherine and fulfilled one of his dreams, to represent Canada in the World Cup. With only one event left on the Canadian Tour, the CPGA Championship at the Quilchena G&CC, he knew he needed a win to secure the spot on the World Cup team. Playing before a loyal, supportive crowd he won. He held off challenges from PGA regulars Richard Zokol and Georgia’s Louis Brown to win by one shot with a total 16 under par. Commenting after the event Rick felt he played his best golf ever for four straight rounds. In 1994 Rick joined Dave Barr and Ray Stewart to represent Canada at the Dunhill Cup matches in St Andrews, Scotland. The team from BC won the Cup. In 2011 Rick expanded his golfing career to commence play on the European Senior Tour. In his first three full years he has one win, two second place and two third place finishes. Rick Gibson can certainly be considered one of Canada’s premiere world champions by winning on three continents. Gail started her golfing at age 13 in Winnipeg at the St. Charles G&CC. Her father’s job with the Royal Bank kept him in Winnipeg for nine years so Gail learned much of her golf as a teenager under the tutelage of Jim Collins and Ron James. While in Winnipeg she won the Manitoba Junior once and the Manitoba Ladies title twice. In 1986 Bill transfered to Kelowna, BC. As a natural athlete Gail’s career progressed quickly. While in BC she represented Canada on the World Amateur in 1986 and the Commonwealth team. She joined Dawn Coe and Jennifer Wyatt at Lamar University playing on the women’s golf team. 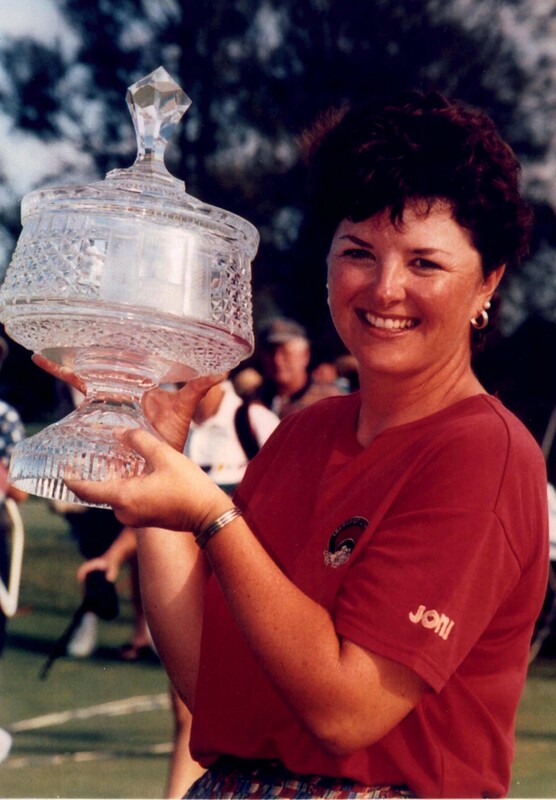 Gail has been an amateur, a Futures Tour player, a LPGA professional, a LPGA official, a golf promoter, a golf commentator anda tournament consultant. But the part of the sport she enjoys most is playing. “I’d be crazy if I didn’t say I enjoy playing more. It’s what I have known for 35 years. It’s enjoyable to get out and play. I still have the competitive spirit.” She now plays on the Legends Tour. As a Marine Drive junior member Alvie Thompson honed his skills watching the legendary Stan Leonard pound the ball on the course range. “From the time I was 15 I saw almost every practice shot Stan ever hit at Marine. Nobody ever hit the ball any better than he did. 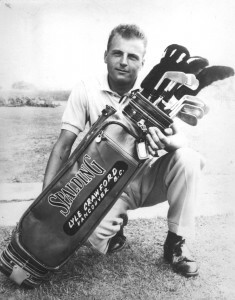 It was his encouragement that got me going.” When Stan left for the tour he arranged for the 21 year old Alive to commence his apprenticeship in Bill Thompson’s pro shop. Alvie got his playing career really under way in 1962, two years after he left BC to join Bill Mawhinney’s staff in the east. 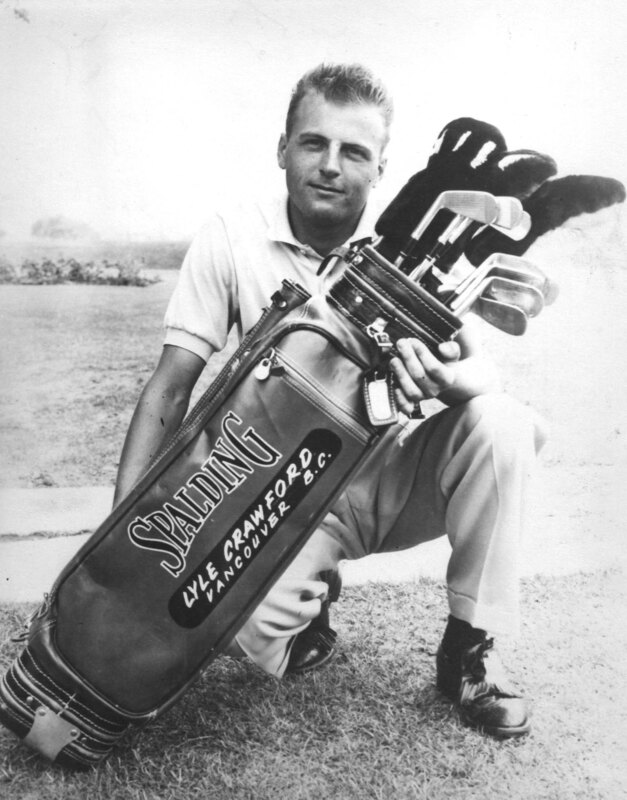 Playing in his first national championship Alive, the pupil, shot 64 to defeat Stan and George Knudson in a play-off to capture the 1962 Canadian Professional Golfer’s Association Championship. The following year he burned the course in 27 under par to capture the Miller Cup Match Play Event. In the decade playing the Canadian Tour, the Caribbean tour and the PGA tour Alive recorded 7 wins and 8 seconds. 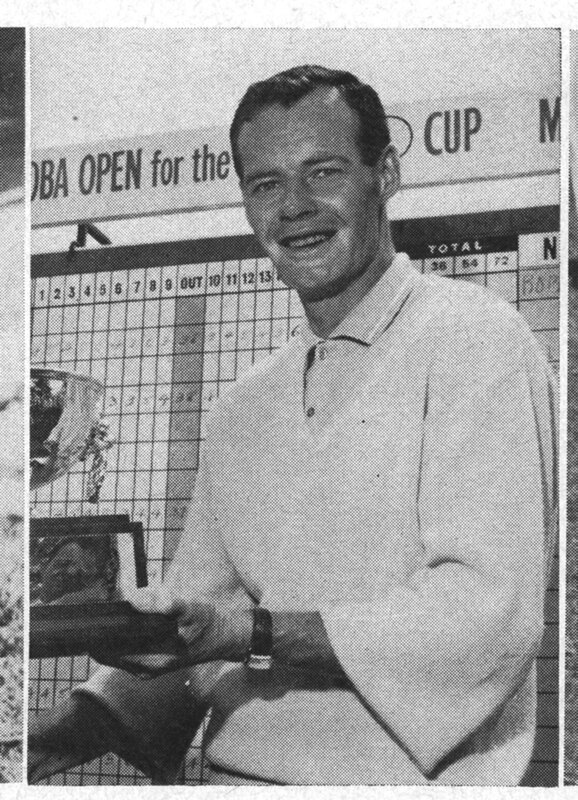 Alvie’s big break seemed to come in 1968 when he finished 10th at the PGA qualifying school. H played the fall tour winning $700 at Hartford, $1000 at Doral, and $550 at Orlando. A group of Toronto businessmen decided to sponsor Alive full time on the tour the following year. “I was on top of the world.” Then for some reason his tour card was cancelled. Several inquiries never really solved the problem so alive decided to concentrate his energy playing Canadian tour golf. In 1972 after playing the Alberta Open Alvie decided to return to his roots – the head professional job at his home club Marine Drive. Jennifer was not exactly born into golf. Her father Bob, once a promising hockey player who was offered a minor league contract by the Chicago Blackhawks, hated the game. She got her start from family friends who encouraged her to try the game. By age 13 she joined Quilchena GC and at 15 she showed promised by winning the low gross aggregate for 15 and under girls in BC. 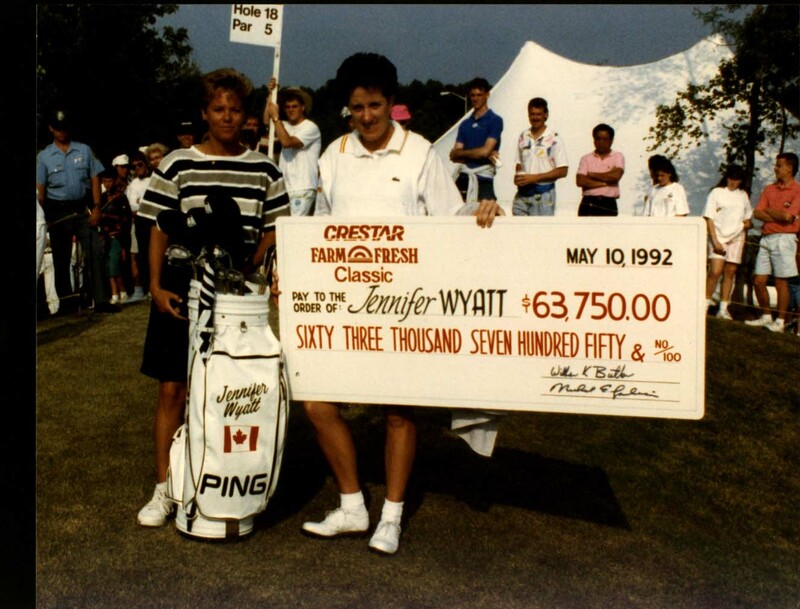 From 1982 thru 1984 she merged as one of the top juniors in Canada finishing third twice and second once at the Canadian Junior Girls Championships. In 1985 she finished second and low Canadian at the Canadian Ladies Amateur. “That was really a valuable tournament because it gave me a trip to the British Amateur and an exemption into the LPGA du Maurier tournament. As low Canadian I got all the attention from the CLGA officials. From 1985 – 1987 she was ranked #1 player in Canada. Because of her accomplishments in amateur golf she received a full scholarship to Lamar University where she won twice in college tournaments. The roller coaster ride of the LPGA ended for Jennifer in 1998. She began her teaching career in 1998 at Savage Creek Driving Range in Richmond BC.